Just over two hours before the Grand Slam eliminator between Wales and England kicks off in Cardiff, Welsh centre and part-owner Jonathan Davies hopes to be celebrating early when Potters Corner lines up in the Tyneside marathon. The extended four-miler is shaping to be as demanding as the 80-minute showdown later in the afternoon, with previous winners Mysteree (2017) and Baywing (2018) featuring in an 16-strong line up. 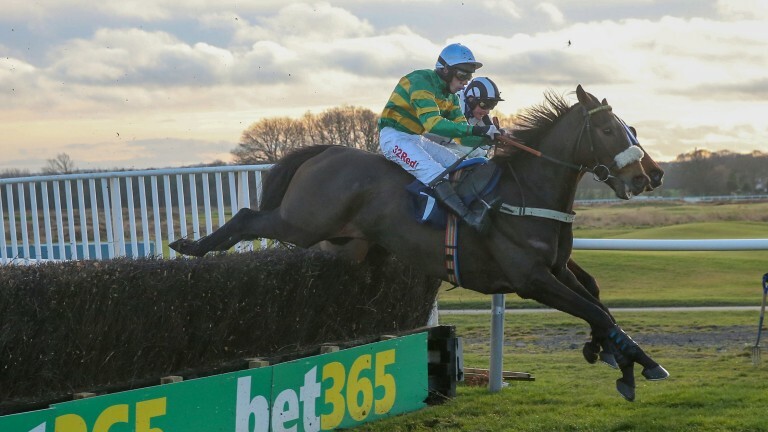 The story of Potters Corner is certainly an all-Welsh affair as he is trained by Christian Williams, for whom he is a rare runner in a feature event on a Saturday. 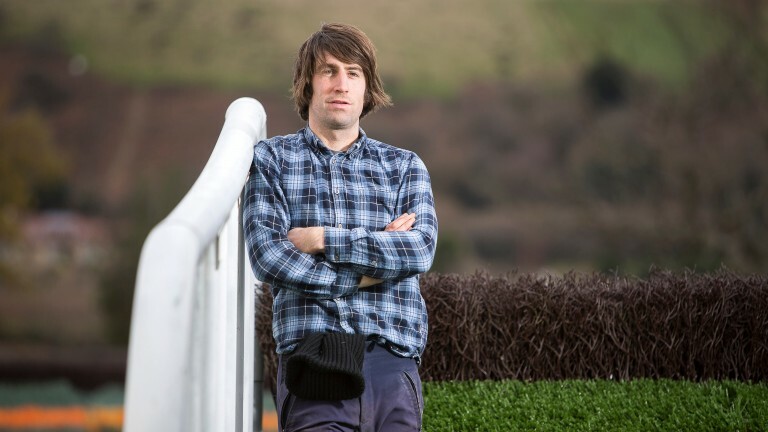 The Bridgend-based former jockey prepared the nine-year-old to win over an extended three miles at Wincanton in December and was confident he would have followed up at the track last time had he not fallen at the second-last. He said: "You could say it's a big weekend for Wales, and especially for Jonathan Davies, who owns Potters Corner in conjunction with All Stars Sports Racing. "He's a progressive horse who'd have won last time, I believe, when he was shaping as if this step up in trip would suit." As for having a runner in such as prestigious race, Williams added: "I don't mind flogging around your Sedgefields or Fakenhams but this is something else. It's great to have a chance in a race covered by ITV Racing on a Saturday." Can Richards do it again? Nicky Richards fields last year's winner Baywing but is just as confident his untested stablemate Progress Drive could be a player after a wind operation. Baywing, who beat the reopposing West Of The Edge on heavy ground a year ago, has cut little ice in two starts this winter and races off a 7lb higher mark. Richards said: "It's a shame there's been no rain for Baywing as he needs a real stamina test and there may be one or two too quick for him on this ground." Prospect Drive finished third behind Harry The Viking, who also runs here, when last seen in the Scottish Borders National at Kelso in December and has had minor surgery since. Richards added: "Progress Drive has had a bit of a tidy-up operation and is in good form at home. He's always had a big staying chase in him and this could be it." Paul Nicholls is out to break his duck in the contest with the doughty Vicente, who is down to his lowest handicap mark for three years. The ten-year-old won the Scottish National at Ayr in 2016 and 2017 off 146 and dropped to a pound lower than that after his recent third at Taunton. Harry Derham, assistant to Nicholls, said: "It's nice to be able to run him in the winter on some nicer ground. I thought his run last time was really good and I was very pleased with that. I'd like to think he'll run well – four miles will suit perfectly." Rock On Fruity will have the edge on his rivals if recent course experience is a factor, having registered successive wins at Gosforth Park, most recently over just shy of three miles in January. Trainer Ben Haslam is stepping into the unknown going a further mile with JP McManus' hope – the owner's colours were carried to success in this by Wyck Hill in 2014. 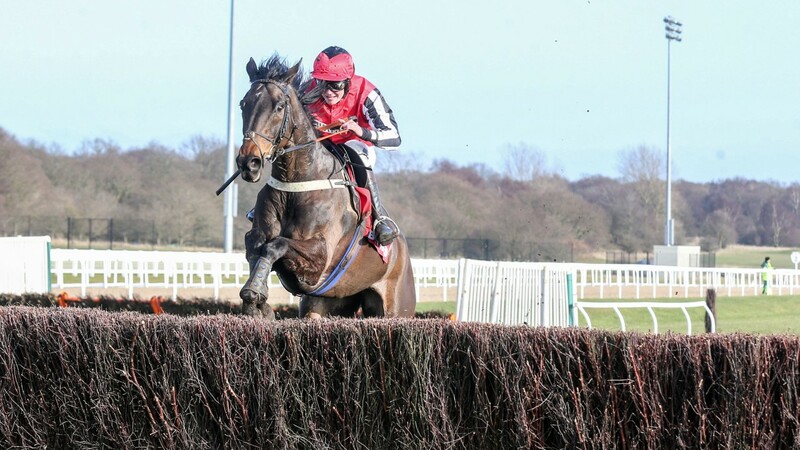 Haslam said: "He's been getting into a real rhythm around there with his jumping and Richie McLernon suggested giving this a try after his win last time." He ran well over three miles-plus at Sandown last time, when he was third, and shaped as if he'd get this far. As they've not had much rain that should help. He used to pull quite hard in his early days but he's more settled now and it was quite a strong race he finished third in at Warwick last time. He deserves a crack at a pot like this. He ran in this a couple of years ago, when he missed the break and made an early mistake – we're hoping for a better show. He should have more chance of getting the trip on this better ground. I think the trip will suit. He looks like a stayer, the ground will be perfect and he relaxes in his races, which gives him the best chance to get the trip. He’s got little weight so that’s all the things you need to win this race. Four miles is four miles and you don’t know you’ll stay it until you do, you take that bit on trust. But I’d like to think he will and I’m very happy with him going into what's been the season-long plan. He's a great old horse and will like the ground and trip. He missed the Edinburgh National when they called it off and is fresh and well.